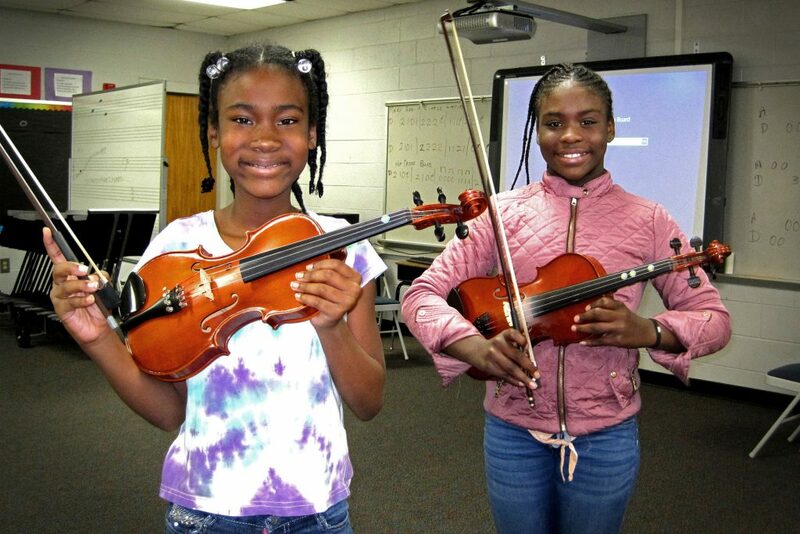 STILL GOING STRONG Students of Chester Park Elementary School of the Arts in South Carolina with violins that the foundation donated in 2009. Photo courtesy of the Mr. Holland’s Opus Foundation. When Stephen Herek’s film Mr. Holland’s Opus was released in 1996, it made the compelling case for the importance of arts education at a time when funding and support for music, art and theater programs nationwide were beginning to decline. The film shows the transformational power of music education and its ability to inspire, connect and profoundly shape our nation’s youth — and how easily such programs can be taken away by budget cuts and lack of resources. Mr. Holland’s Opus traverses 30 years (1965–1995) in the life of high school music teacher Glenn Holland (Richard Dreyfuss), who takes on the teaching position temporarily so that he can focus on completing his magnum opus. However, Holland soon realizes that the school’s orchestra is in dire need of help. As he becomes more involved in his role, his work on his opus diminishes while his connection to his students grows. They begin to improve their skills, develop a deeper appreciation for music and, most important, grow as self-confident individuals. Despite his years defending the program, Holland is forced into early retirement due to budget cuts that eliminate the school’s arts education programs, leaving him feeling like a failure as a teacher and composer. In the final scene, though, students from throughout Holland’s career surprise him in the school’s auditorium to tell him that his love of music and teaching touched each of their lives. “We are your symphony, Mr. Holland. We are the melodies and notes of your opus, and we are the music of your life,” a former student says before inviting him onstage to perform the premiere of his opus. The fictional Mr. Holland galvanized many to support the arts. Among those influenced was the film’s own award-winning composer, Michael Kamen, who in that same year founded the Mr. Holland’s Opus Foundation. While writing the music for the film, Kamen was inspired to find a way to keep school music programs alive. As a student attending New York public schools in the 1960s, Kamen was freely given music education, and he wanted others to have that same kind of opportunity. When he established the foundation, he focused on the one thing that could provide immediate results: putting instruments into the hands of more students, especially those least able to afford one. Over the past 23 years, the nonprofit organization based in Studio City has been carrying out Kamen’s dream. To date, more than 28,000 new and refurbished instruments have been donated to over 1,500 schools in 700 school districts across the country. The foundation facilitates year-round donations to schools, especially those in communities with low-income and at-risk youth, who studies have shown benefit the most from an arts-rich education. In 2012, the National Endowment for the Arts reported that arts engagement for low-income high school students helped them earn better grades, graduate from high school and attend college. “In many under-resourced schools, going to music class is often the reason kids come to school; it gives them a creative outlet and a safe place to be part of a supportive group,” Mancini says. The outcome of the foundation’s work is best seen in the schools it awards. Glendale High School (GHS) received not one but two grants in recent years. The school’s music program, which consists of two orchestras, three jazz bands, a concert band and a marching band, is not funded by the school district. 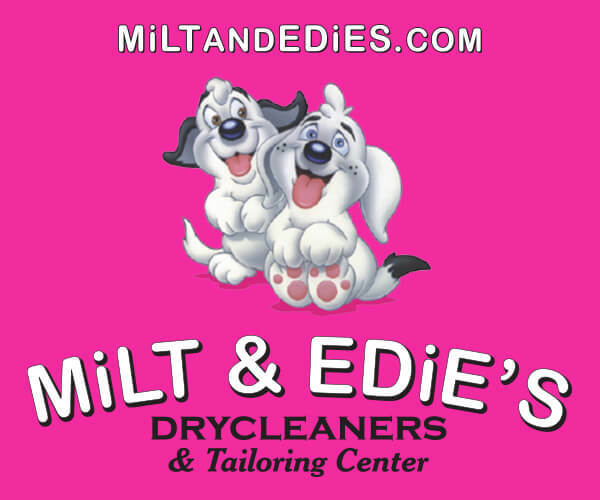 Sheet music, instrumental repairs, replacements and other necessities are financed solely through fundraising and grants. And because most students at GHS qualify for free or reduced lunch, purchasing an instrument is out of the question for many families. Over in Pasadena, the foundation helped the Washington STEAM Multilingual Academy build its fledgling music program with wood and brass wind and string donations in 2014 and 2017. THE GIFT OF MUSIC An array of wind and string instruments that the foundation recently donated to San Fernando High School. Photo courtesy of StubHub. The donations have since helped the program grow in numerous ways. The concert band has jumped from 12 to 50 students, there are more class offerings (beginning, string and concert ensembles), and, most important, students have been able to participate in a program that “provides beautiful instruments and teaches them how to handle their equipment with care and pride,” Duboucheron says. Rangel’s and Duboucheron’s flourishing programs are a testament to the foundation’s goal to keep music programs thriving. In addition to providing instruments, the foundation strives to improve music education on an institutional level with its Music Education District Support Services (MEDSS). The foundation offers MEDSS to districts that are committed to music education but need additional resources to help them make their programs accessible to students district-wide. MEDSS provides administrators with program and instrument inventory audits, helps districts engage with their communities by conducting instrument drives and school board presentations, offers music teachers professional development opportunities and much more. 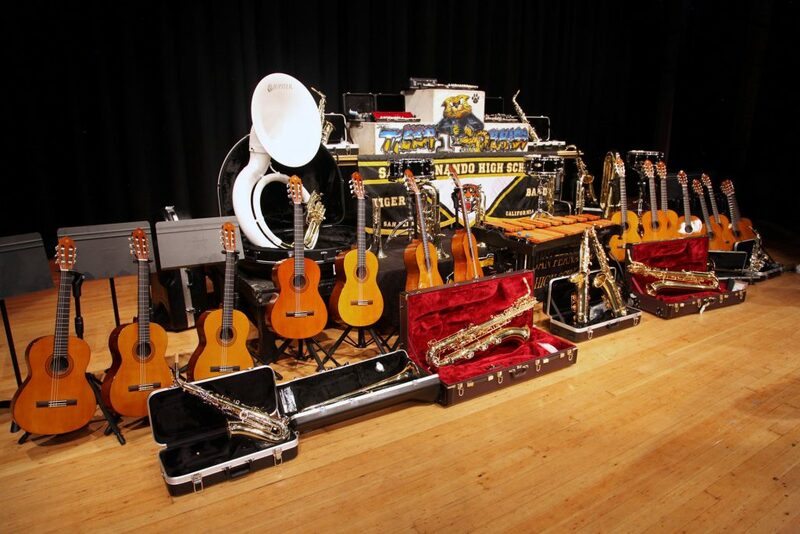 “We believe that kids thrive when given the chance to learn and play music. Schools are such an integral part of our community, and tools and activities that increase student success and get them through graduation and college make communities stronger,” Mancini says. The foundation, which has enriched the lives of more than two million students, works tirelessly to fulfill Kamen’s vision and to make it possible for music teachers — all the Mr. Hollands in our schools — to share the power of music and all its life lessons with the next generation. “Although Michael Kamen didn’t live long enough to see the full results of his dream, his legacy deepens each time a child has the opportunity to learn and play music through our work,” Mancini says. The foundation accepts cash donations as well as new and gently used instruments in playable and good cosmetic condition. For more information, visit mhopus.org. 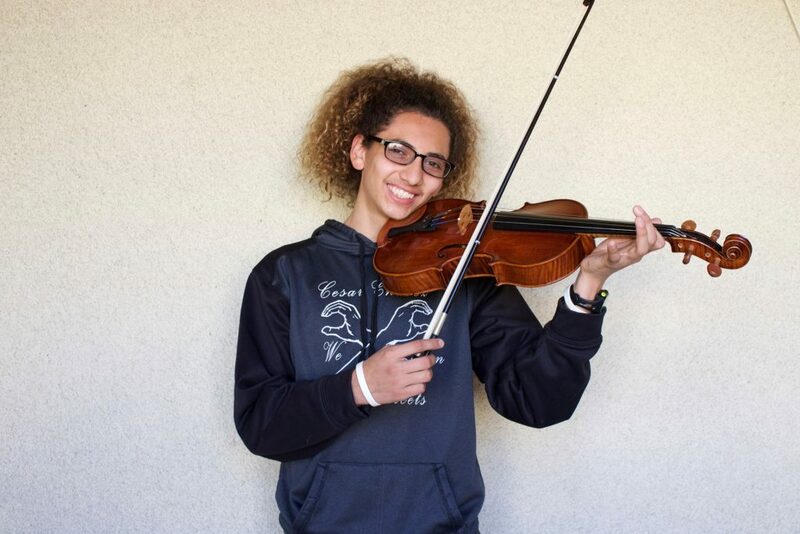 To meet some of the other organizations instrumental in inspiring harmony throughout our community, see our stories about the Burbank Community Band, School of Rock and Songs That Soothe. 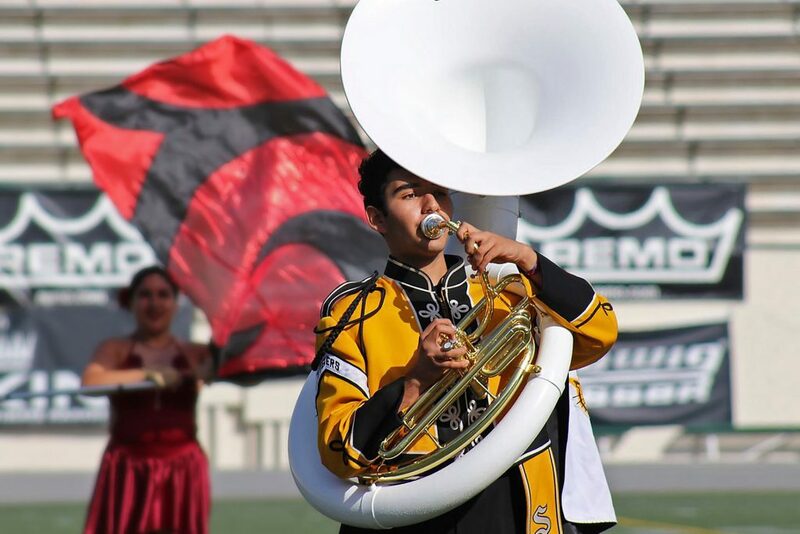 NEW BRASS SOUND A San Fernando High School student plays a new sousaphone donated to the school by the foundation. Photo courtesy of StubHub.